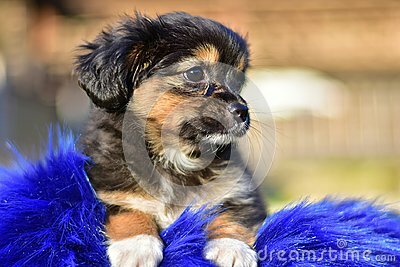 Portrait of cute Havanese bichon havanais puppy dog. She is sitting. With natural background.